China is currently strengthening its position in the international art market due to favourable economic conditions and has all it takes to become the world leader in art sales, according to a senior research person at the China academy of Art. “The fact that Chinese art market is scoring high in the global contemporary art sales rankings is a huge progress for us”. This leap was made in the last six to seven years and it is natural that the rapid growth of the Chinese economy has contributed in people’s lives quality, the income and purchasing power as well as the interest to make art investments. The Chinese artists have an unique ability to capture the cultural, public and political trends of the moment. The works of old as well as present-day Chinese artists are constantly growing in price. as they are able to reflect the cultural and societal phenomena related to the growth of the modern world. And when some political contact can be found in such works it identifies a trend and the price for such work of art soars. 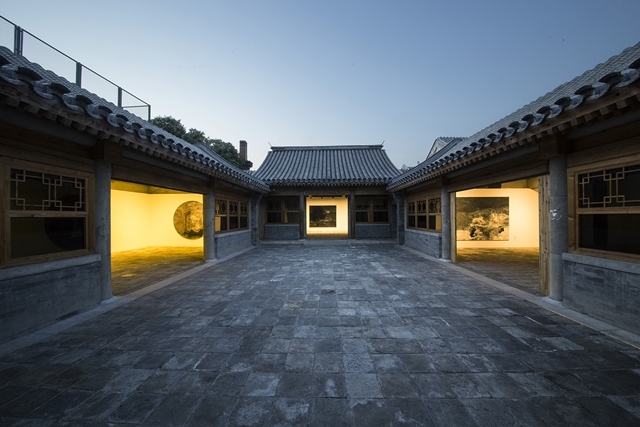 China see more and more private museums, art galleries and more art collectors spreading, not only focused on the cultural city of Beijing. France is the leading European country that has most Chinese art lovers mainly due to the collectors Dominique and Sylvain Levy and the history of Paris as being the Capital of Art. Artprice recently released statistics for the season starting July 2013 and ending June 2014 that China’s art revenues exceeded USD 750 million, representing 40% of the global market. Only USA is slightly more. With this Eight Art Gallery wishes all loyal readers a Happy New 2015.